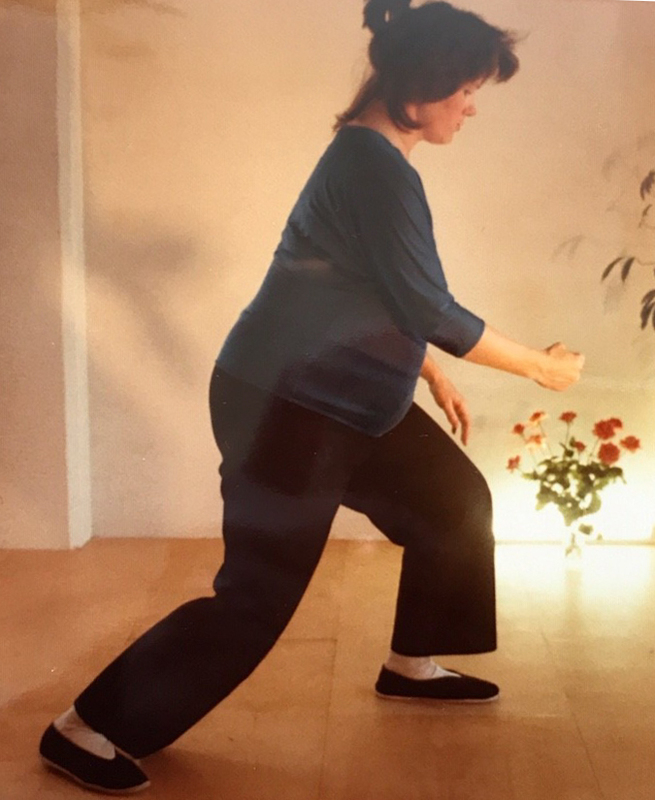 Tai Chi and Pregnancy by Gerrie Sporken and Margaret Olmsted ~ (Apr 2019) | Tai Chi Foundation Inc.
During pregnancy or when trying to become pregnant, it is often recommended to do tai chi for a variety of reasons. Among them, tai chi and qigong focus the mind in the dantian, with a center point 3 finger widths below the navel, on top of the womb. By sinking the head and heart into the dantian, we nourish the area where the baby is growing. While I refer to tai chi here, the same applies to qigong. Tai Chi is all about relaxation – relaxing the mind and the body. Starting the day with tai awakens the circulation of blood and qi. Tai chi at night before going to bed can settle the mind and body and improve sleep. Tai chi stimulates the flow of qi through the body and enriches the blood. A whole network of blood vessels is built during pregnancy and tai chi helps with circulation. Doing tai chi during pregnancy can also help balance blood pressure. Tai Chi is specifically good for nurturing the kidneys, including the kidney massage of 49 strokes down the back. Support yourself with a good diet with the biggest meal around lunch time, eating less later in the day. Drink at least 6 glasses of water daily. Tai chi chuan strengthens the legs through softness and helps with the increasing weight. When pregnant one’s balance changes quite rapidly and to start the day with tai chi or qigong is a good self-check as well as a good way to increase balance awareness. When standing a great deal of the day, doing some gentle water wheel moves is supportive. Tai Chi is good preparation for the delivery as it relaxes the hips and groin area which will need to open up. Sinking in the form can help with squatting in delivery. During labor it can be done to stimulate the opening of the birth canal. Of course, as we say to all tai chi students, be gentle with your body and yourself. Rest when you need to rest. Stop if there are sharp or stabbing pains. And when you question if this is good for you, consult your doctor.